We would like to thank Carlos V. from Puerto Rico for sharing these wonderful photos of his gorgeous reef tank. He recently bought two of our OR120 with the Sky Blue spectrum with no lenses to complement his ATI T5 lighting. 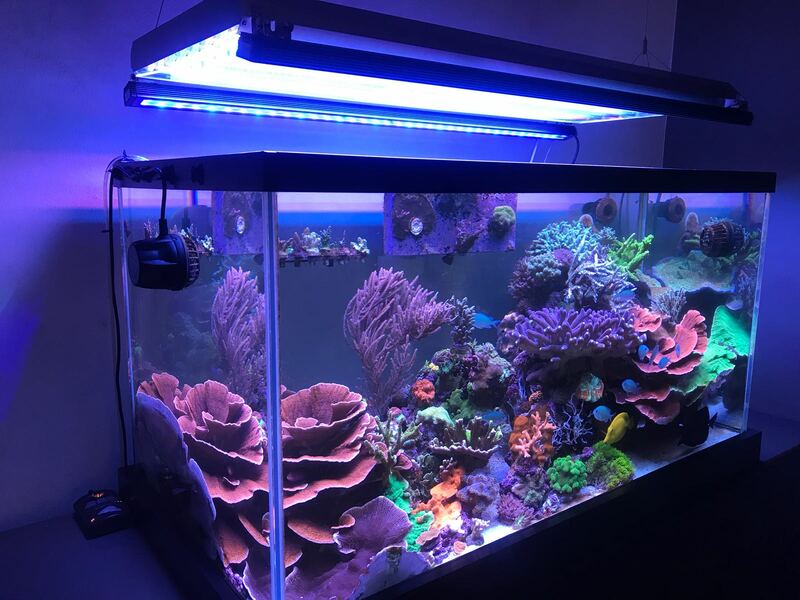 Check out how the OR120 units enhanced the colors of his coral and how the Atlantik V4 can replace those expensive to maintain T5’s. Here is what Carlos had to say “The T5 ATI is very powerful but you can clearly see the difference when you turn on the OR120’s. 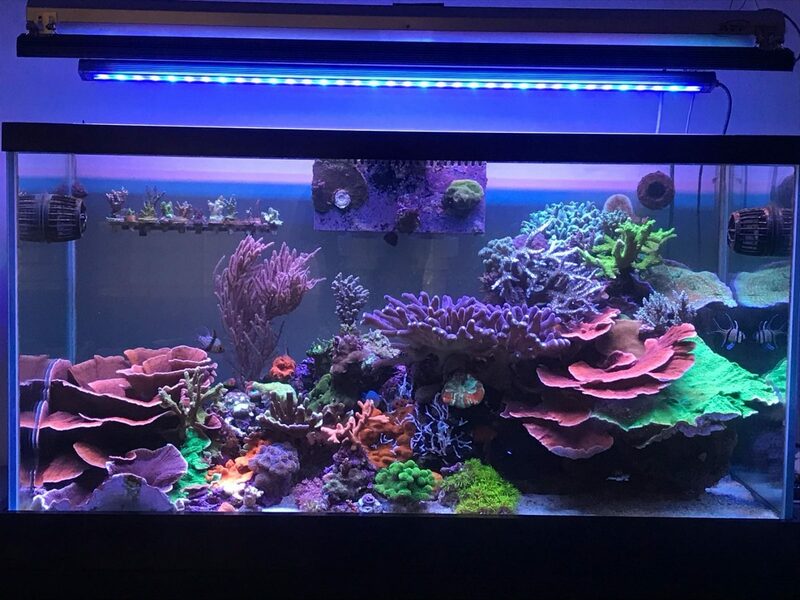 A friend of mine has the same ATI, but with two XHO Reef Brites and they are not even close to the OR120. Thanks for such a great product! 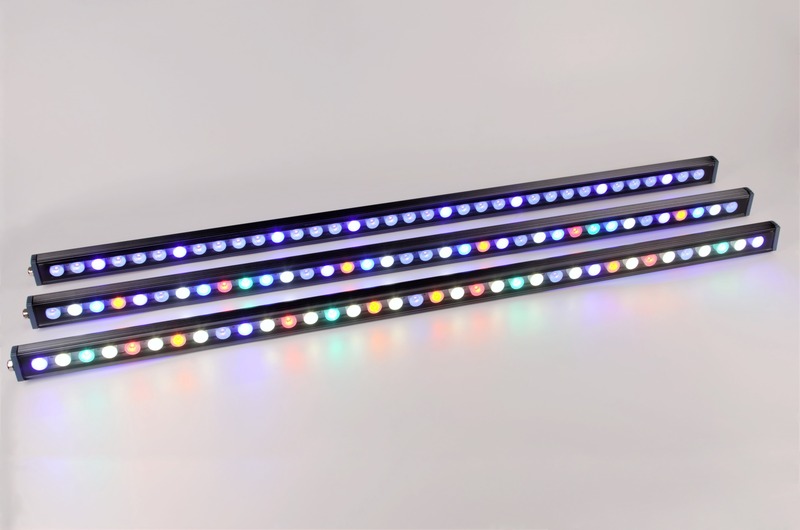 Orphek OR series are the coolest LED Lighting Bars for aquariums. For optimal SPS/LPS coral growth, color and illumination, replacing T5/T8 lighting technology for aquariums. 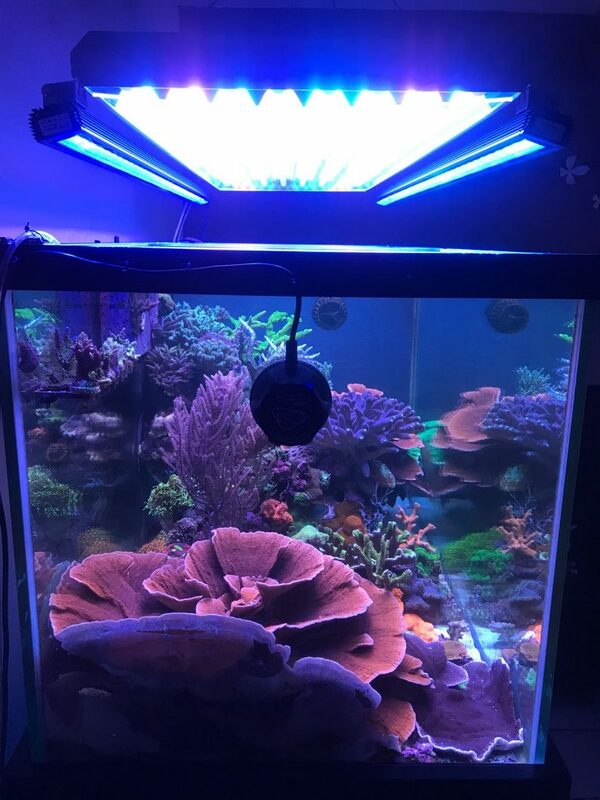 Reef Day Light – Full Spectrum Day Light 18,000K (380nm- 700nm ) for both marine or reef aquariums, with SPS/ LPS or soft corals. Freshwater Planted – Full Spectrum Day Light 7000K (380nm- 750nm ) for fresh water & planted aquariums. Blue sky – Blue /Cyan Spectrum (450-500 nm) for better coral growth & color and fluorescence. UV/Violet – UV/Violet (380- 440nm) for maximum coral growth & color and fluorescence. Refugium & Grow Light – Full Spectrum Grow Light is the most complex spectrum for macro algae or other flourish plants.